The reward for this quest is Amara, Warden of Hope. Join the discussion on our forums! Come discuss Awaken the Makers over in our dedicated Awaken the Makers discussion topic. 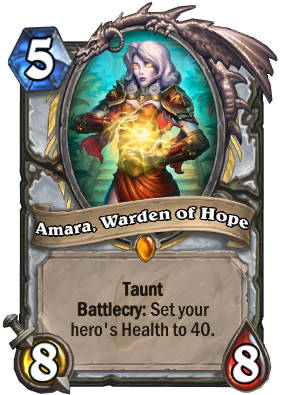 Reward: Amara, Warden of Hope. They keep hitting the Snooze button. 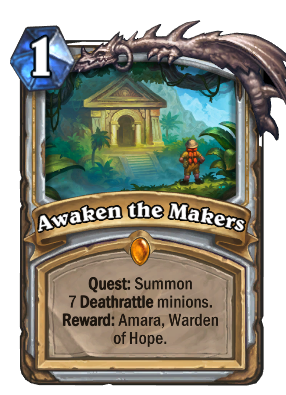 I really hope that with the new cards incoming, Quest Priest will not be a Tier 1 (or just popular) deck. 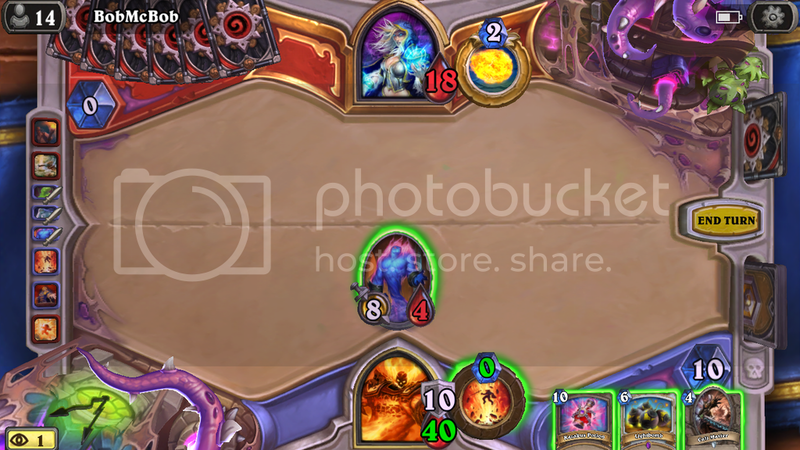 Already playing against it is the worst experience if it highrolls you. That would truly be one of the worst metas of all time. Blizz better have their playtesting done - fortunately in the past this was never an... oh wait. OK we're fooked. trust me - quest priest isn't nearly as frustrating as other decks when they highroll, cubelock for example. Is it worth to craft awaken the makers now? Over 55% say this is meta-defining, but I never see this used in priest decks in constructed anymore since the release of KOTFF. I'm assuming it sees more play in wild. It's important to remember that these polls are started when cards are first revealed which can also skew it. Certainly did have much more use though when people were excited to play with all the different quests and that changed up when we got the Death Knight toys. Does someone has a deck for Free 2 players with this Quest? Tried this in wild. But I am poor guy w/o N'zoth. Even w/o him it's good. Got three of these after I opened 171 packs on day one of release. RNG is never on my side. Tried the Quest and it was ok. Please bring a golden animation back. I agree with you for the conclusion but not for the reasons. I've played this quest in a Reno deck where lots of deathrattle minions are available. However, the reward from the quest is great but it's not game breaking. Either you encounter an aggro deck and you won't be able to play Amara or you play versus a control player where Amara will just give you +10hp. I think this quest should be played in a pure deathrattle deck but I'm not sure it would work, especially in standard where the deathrattle minions are not that good. You had to be fast to take that picture before your opponent hit the concede button.